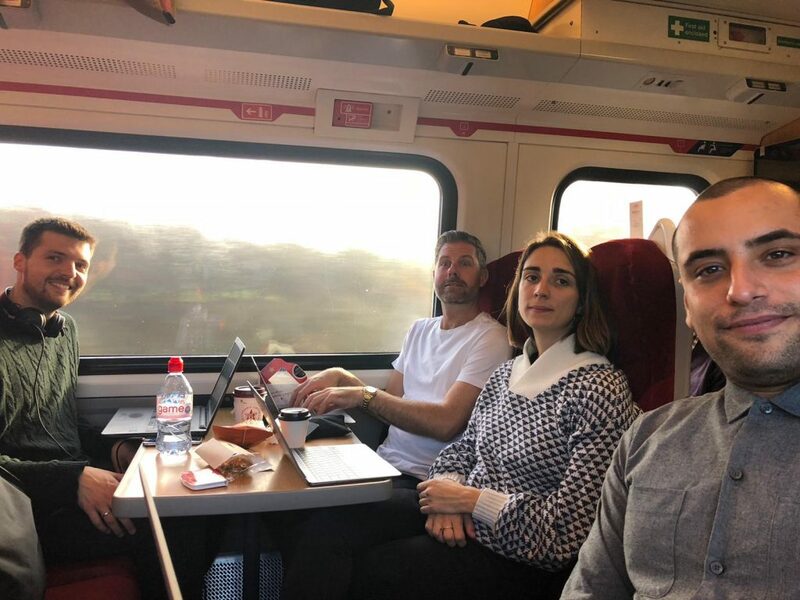 On Tuesday 6th November the team met bright and early at Kings Cross station to head up to Sheffield for the 2019 edition of AIF Festival Congress. Two trains and two hours later we arrived, ready for two days of industry education and an evening of festival fun in-between. In the morning we attended a talk by Fabien Riggall – Founder & Creative Director of the renowned Secret Cinema. He spoke about the decline of classic cinema due to the growth of digital based film and the growth of “cinema at one’s comfort”. This trend has therefore allowed for a gap in the market – immersive cinema and theatre. Fabien talked about Secret Cinema’s journey over 10 years and how it has become an extremely popular immersive theatre and cinema company, having started as a small immersive show in Greenwich. One of the afternoon panel discussions looked at the importance of non-musical offering at festivals and how these aspects also hold great appeal for festival-goers. Among the panel were Elle Castle, Senior Project Manager at Kerb, who we worked with to produce their first festival this summer – Jam on Rye! As well as Sam McGregor (Founder of Signature Brew) Lauren Down (MD of End of the Road), and Sally Griffyn, (Founder of Yoga Connects festival). Alternative activity and offering including top quality food, top quality booze as well as yoga, meditation and much more were discussed. Each panellist agreed there was a definite demand for these additional activities, and also an expectation for them to be provided at festivals. They agreed these alternative experiences provided a pull for consumers when deciding to purchase a ticket, but the music line-up still often lay precedent. Desert Island Risks was presented by some of the industry’s top lawyers and underwriters and took us through developments in the sector – our team listened intently to bring you the bottom line of everything event insurance related and took away that Brexit might be bad for the industry, and event producers should insure their shows are insured against loss that might arise from the political uncertainty. 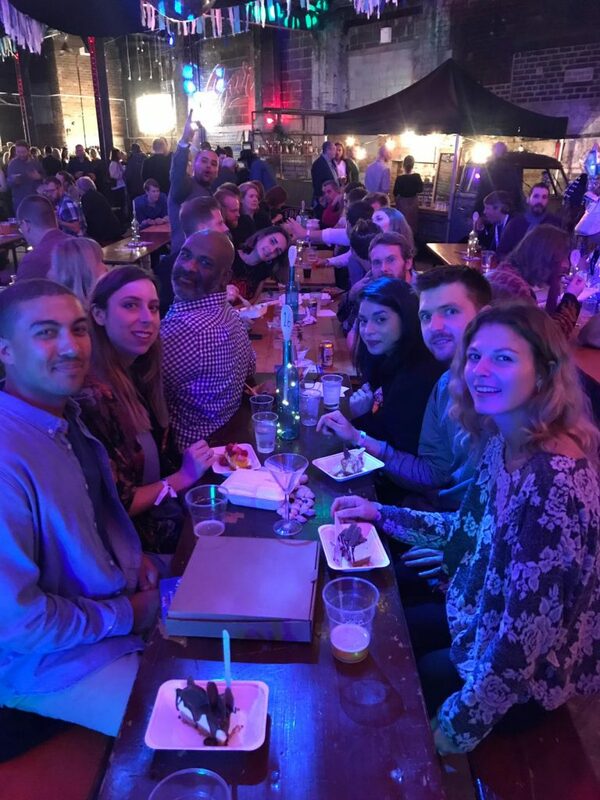 The evening took us to an ‘Under the Sea’ themed warehouse just outside the main city centre for some dinner, drinks and of course the festival awards. The awards began with Outstanding Contribution to the industry awarded to Sarah Nulty, the former festival director of Tramlines, who sadly passed earlier this year after a short illness. The 2019 edition of festival congress was dedicated to her and her impact on the industry, and rightfully hosted in the city home to Tramlines festival. The congress started an initiative to raise money for Weston Park Cancer Charity and Cavendish Cancer Care, two charities that provided care and support for Sarah during her illness. To contribute to the fund, please follow this link. Other winners included Black Deer Festival for New Festival on the Block, The Data Mine (Shambala) for Unique Festival Arena and Henge for Live Act of the Year. The Tuesday morning talks kicked off with a harrowing insight into the scale of plastic waste in the UK. In 2017 Daniel Webb decided to carry out his own investigation into the plastic waste production of the average consumer, collecting each piece of plastic he used over the course of one year. In total he collected an astounding 4,490 pieces. 67% of which was classified as single use plastic, mostly used for packaging food. 30% of the pieces were theoretically recyclable, but in reality he discovered only 10% of these items would ever be fully recycled. To raise awareness of this issue Daniel transformed his collection into an art installation which has now toured several festivals including Dreamland in Margate. This year AIF launched their ‘Drastic on Plastic’ campaign which has forced festival organisers to think about their plastic waste on sites and encouraged us to be pioneers of change in this field. Daniel’s investigation certainly put into perspective the desperate need to think about more effective recycling, starting right from the build process and about reducing the consumption of single use plastic on the festival site. In 2016 The Loop introduced ‘Multi Agency Safety Testing’ (MAST) to the UK and have spent the past three summers testing drugs front of house at UK festivals for harm reduction purposes. MAST is a form of drug safety testing where individuals submit samples for analysis at festivals, get results the same day, and receive a confidential harm reduction intervention delivered by experienced substance misuse practitioners. MAST testing has shown that 1 in 5 drug samples are mis-sold, and drugs in circulation are at very high purities. Testing has also revealed drugs bought onsite at festivals are twice as likely to be miss sold. High and variable strength drugs, and contaminants, are the key drivers of drug related fatalities. While drugs are strictly prohibited at festivals and stringent searches in place we cannot prevent drugs from entering, and these factors pose increased dangers to our festival audiences. The festival industry has a duty of care to ensure our audiences are safe. The Loop’s work is vital in reducing the harm caused by drugs through educating individuals about the content and dangers of drugs which enable them to make informed decisions. At The Secret Garden Party MAST testing resulted in a quarter of all substances submitted being disposed of at the client’s request. Further to this, The Loop’s work offers important insights into the illegal market and data on dangerous substances in circulation. These insights equip festivals with the evidence to warn users where strong, contaminated or mis-sold drugs are found, and to alert medical and emergency services. This year MAST found that a new toxic substance known as N-ethylpentylon was being sold as MDMA/ecstasy. The substance initially mimics the effects of MDMA but later causes temporary psychosis and insomnia like symptoms which can last for up to 3 days. The substance was one of the biggest problems at UK festivals, but testing enabled the identification and removal from circulation helping to keep festival goers safe and reduce admissions to onsite medical teams. We are aware that a percentage of our audience will take drugs at music events. Findings from the Drug Misuse: 2016/17 Crime Survey for England and Wales reported that around 1 in 5 (19.2%) adults aged 16 to 24 had taken a drug in the last year. This proportion was more than double that of the wider age group, and equates to around 1.2 million people. While drug use is widespread amongst festival audiences, education about drugs and harm reduction measures are lacking. Through MAST, The Loop are striving to change this. However, on site testing facilities don’t come cheap and these costs are prohibitive for smaller independent festivals. In the hope of making MAST more accessible The Loop are working on a new project to set up city centre testing centres with the UK’s first ever recreational drug safety testing facility opened in Bristol earlier this year. The final talk to take place at AIF’s Festival Congress in Sheffield, brought the guests attention to a slightly lighter note. The Choppy Water’s panel featured 4 industry production managers discussing difficulties and unexpected challenges they had faced whilst operating and organising their shows. It became apparent as the panel continued, that the issues they spoke about linked in with a variety of key issues such as mental health, sexism and waste pollution. The panel featured Rebecca Ayres (Sound City), Ben Robinson (From The Fields), Joanna Leijevahl (Broadwick Live) and Goc O’Callaghan (ArcTanGent). One of the re-occuring themes that came up was mental health. As production managers in the live events industry, each panellist had touched upon feeling (at some point) overwhelmed with the increasing workload and pressure, as the looming deadline of ‘doors opening’ approached. On one panellist’s first live event day, they had simultaneously received 4 different requests over their radio for equally important tasks including a press conference, water concerns, security and medical issues. Having to juggle so many time constrained tasks can put serious pressure on an event manager, so the utilisation of other staff within the management team is key in the success of managing an event. The panellists continued to discuss how they’ve been affected by issues relating to mental health by working throughout the evenings, getting into a ‘workaholic’ state and missing out on invaluable experiences with family and friends. Some of the panellist went on to explain their ways of dealing with the above stressors. Ben Robinson said that in his opinion, the admin aspect of producing event can cause the most significant stress. Whilst he was managing the event site and tackling unforeseen issues away from the office, he was simultaneously receiving a high volume of emails, calls, texts and Whatsapp messages alongside receiving delivery notes receipts, sign offs and booking confirmations. Trying to effectively deal with these elements simultaneously whilst out of the office can add significant stress by attempting to multi task. Ben operates a simple solution, turning off all of his notifications until he’s returned to his office and is mentally ready to address them. By doing this, he is able to more efficiently complete the admin side of managing an event. Another point Ben raised was regarding an ultra-attention to detail. This is a key skill to have in any industry, however it can drive you insane if you aren’t able to let go of smaller factors that will probably go unnoticed by the majority of the guests or clients. With the rise of women in the event industry, it has been proven that it’s an extremely diverse sector, however there are still obviously issues to overcome. On multiple occasions, each of the panellists had received a sort of surprised feeling from suppliers, clients, staff or guests when finding out that the production manager was not a man. There had also been occasions when suppliers delivering scaffolding – a trade predominantly consisting of men in the building industry – had arrived on site to deliver goods and were significantly less helpful with fulfilling their requests. The whole panel agreed that it has to be a topic that shouldn’t be considered abnormal. There had been occasions where the panellists would seriously question what they’re doing and why they’re doing it. However, when the event was live and you could see people enjoying themselves, the satisfaction makes it all worth it. Overall the panellists agreed that the role they take on each year is not an easy one, and if you don’t have a burning desire to be a part of the industry then it’s simply not sustainable. 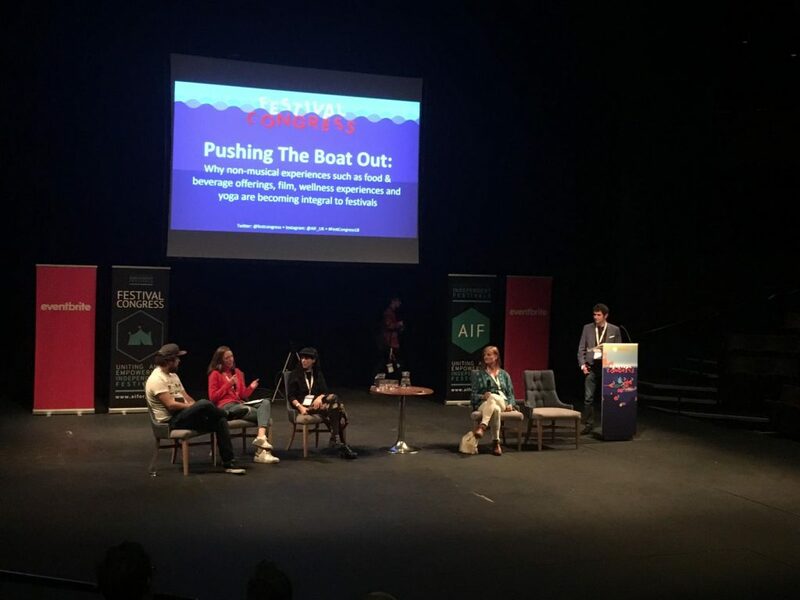 The AIF Congress this year raised some really important issues facing the industry today and provided a platform for festival organisers to discuss these together and impart the knowledge they’ve gained from their own experiences. The Congress and other events hosted by the AIF are really important to independent festivals, and the campaigns they drive are key to becoming a powerful united industry. We need to continue to support the AIF, so they can continue to support us!